President Donald Trump loves football. He played in high school. He owned a USFL team, the New Jersey Generals. He tried to buy the Buffalo Bills. He inserted himself into the NFL imbroglio over players kneeling during the National Anthem. So it shouldn’t come as a surprise he attended part of the College Football Championship Game in Atlanta on Monday between the University of Alabama and University of Georgia. Trump understands how important sports and the stories they tell are to Americans. He gets the symbolism and the raw emotions people attach to their teams and the games they play. And his relationship to these sports goes back far. 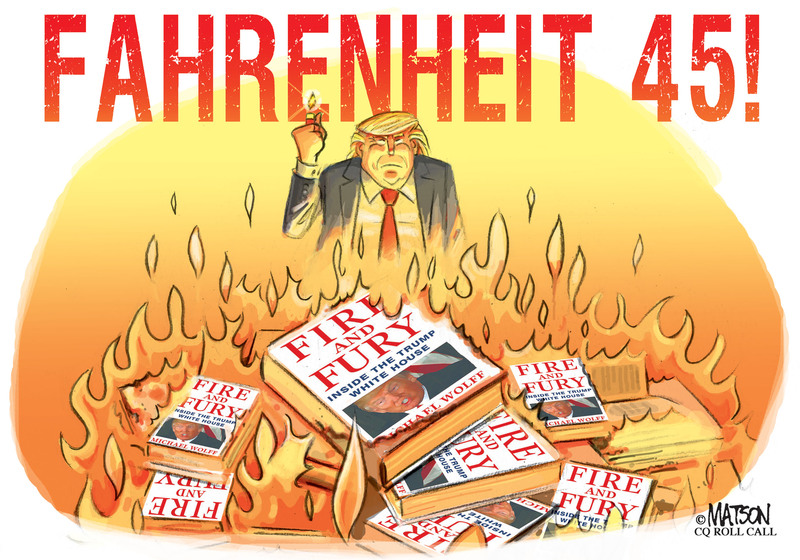 Brandon Wetherbee, managing editor of the arts and cultural website Brightest Young Things, and co-author of “The Donald: How Trump Turned Presidential Politics into Pro Wrestling,” joined Political Theater’s inaugural podcast to discuss the president’s approach to sports and how it relates to politics and the pursuit of power. 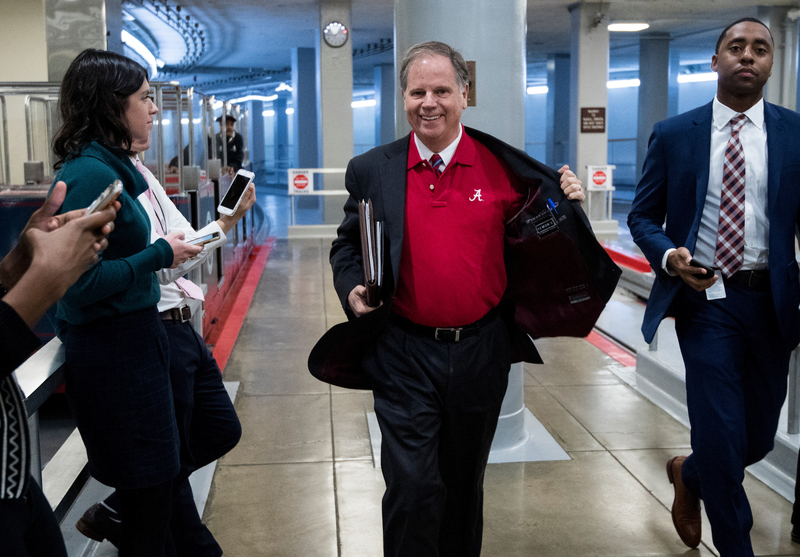 Washington certainly has its share of Alabama fans, and newest-Sen. Doug Jones, D-Ala., got to show off his Crimson Tide pride this week, wearing a University of Alabama shirt to work on Tuesday, when he also happened to sit down with Roll Call’s Alex Gangitano for Heard on the Hill’s “Take Five” feature. It looks like the Alabama Democrat is already exploring the neighborhoods around the Hill, saying he went down to a local barbecue joint near the Capitol to see part of Monday’s game before watching the comeback victory with a pal. “We went down to Willie’s [in Navy Yard], where the Alabama faithful met. It was a packed crowd, and I stayed there as long as I could with a bunch of rowdy 30-year-olds, and then went back where I’m temporarily residing and watched the end of the game with a buddy of mine,” Jones said. 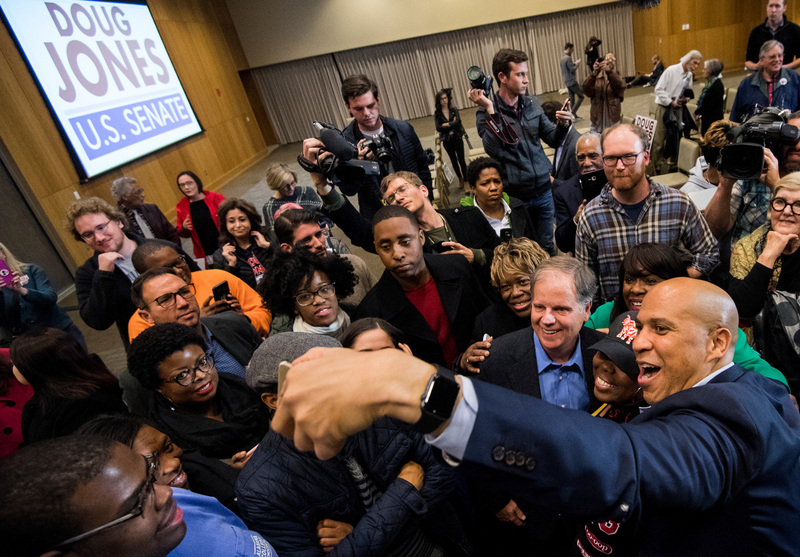 Sen. Cory Booker, D-N.J., heads down to Alabama on Wednesday for the first time since campaigning for Jones in the state’s Senate election last month. Booker, a possible 2020 presidential contender, is slated to give the keynote address at the National Baptist Convention USA’s winter meeting in Mobile. Eric Garcia has the story on Booker’s visit. Another day, another Southern California Republican decides to call it quits. Just this week, Rep. Ed Royce in Orange County decided to retire. 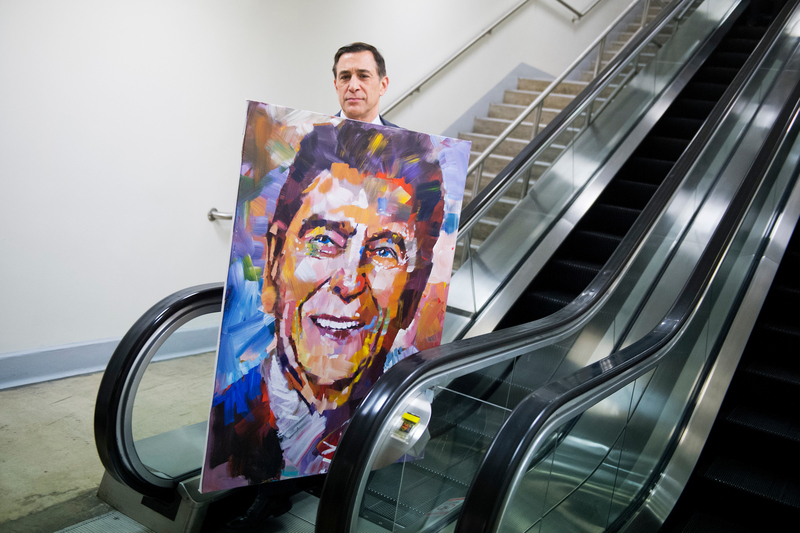 On Wednesday, it was Rep. Darrell Issa down in San Diego. Bridget Bowman has the story, including who are the top contenders to replace him. At Roll Call, that means we’ll need to find another Most Vulnerable House Incumbent, since Issa had the top slot for a long time running.